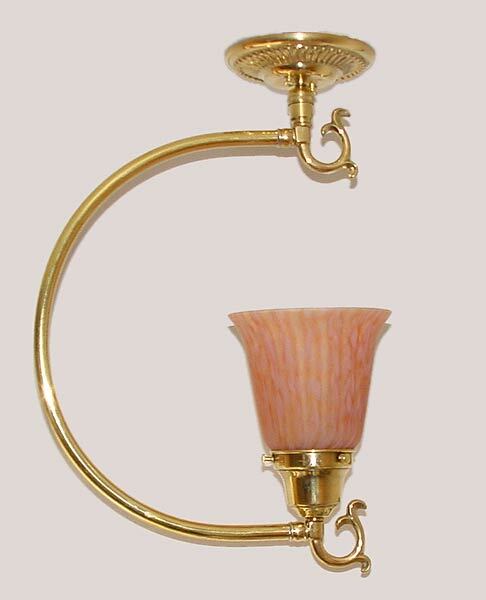 The original CLC "C" shaped short light fixture shown in polished brass. Note the "swivel" below the ceiling canopy. This allows you to spin the fixture even after mounting it, so you can place it exactly how you like it. It also absorbs accidental impact. Width 10 In. / Height 13 In. or Custom.